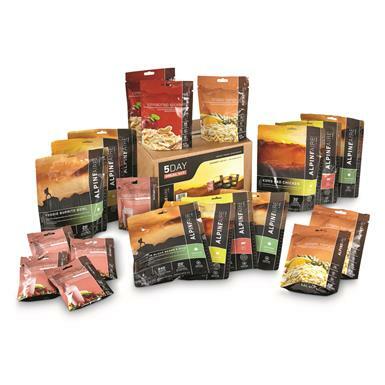 20 pouches of delicious, convenient freeze-dried meals. 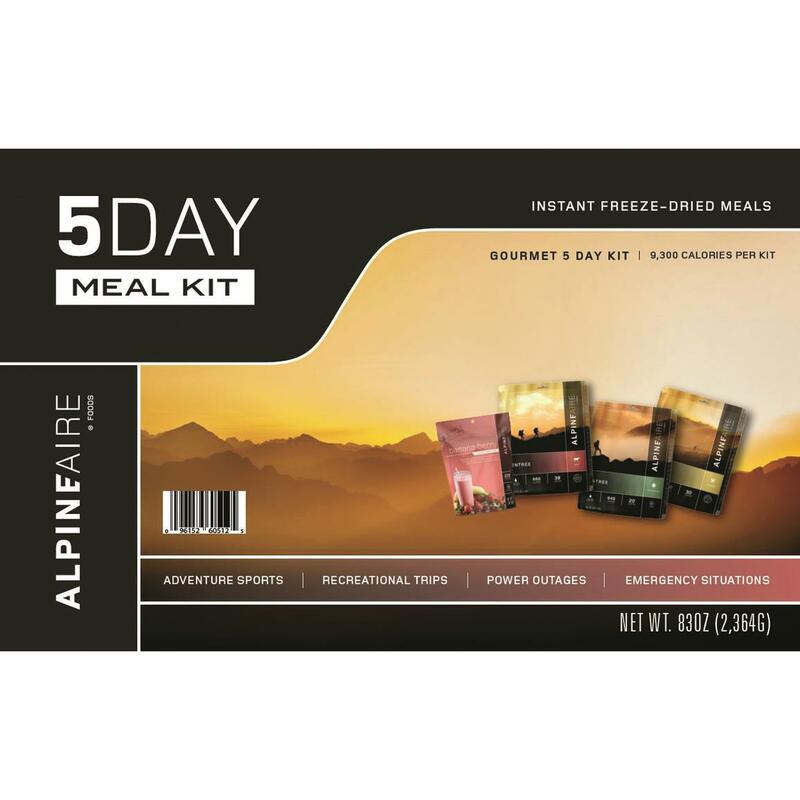 Get 5 days worth of delicious breakfast, lunch and dinner entrees with this AlpineAire® Meal Kit. Since 1979, AlpineAire® has been dedicated to using only the finest, freshest all-natural ingredients to deliver convenient, great tasting, nutritious meals to sustain you on your adventures. AlpineAire Foods don't contain additives like coloring, flavoring or preservatives, so you know exactly what you're eating. These convenient, cost-effective meals offer a fresh approach to freeze-dried foods. Products can be prepared in the pouch for your convenience. For entrees simply add boiling water, for smoothies add contents to cold water. Total Weight: 4 lbs. 12.2 oz.